The catalyst for a new organic certification rose from the the need to rationalise the existing organic standards into 1 organically certified global standard. At a conference in Dusseldorf Germany during 2002 GOTS was born. In the beginning, 4 member organisations collaborated on GOTS and it wasn’t until 2006 that Version 1 of the GOTS was published. As of 2016, the current publication of the GOTS is version 5 and has over 4,600 GOTS Certified facilities producing textiles in accordance to the standard. Version 6 of the GOTS is due for release during 2019. The GOTS website has a more detail on the GOTS history . Does GOTS mean Organic Cotton? The key differentiator for GOTS is it doesn't simply focus on any single fibre, it focuses on all organic fibres which includes cotton, wool, silk and bamboo. 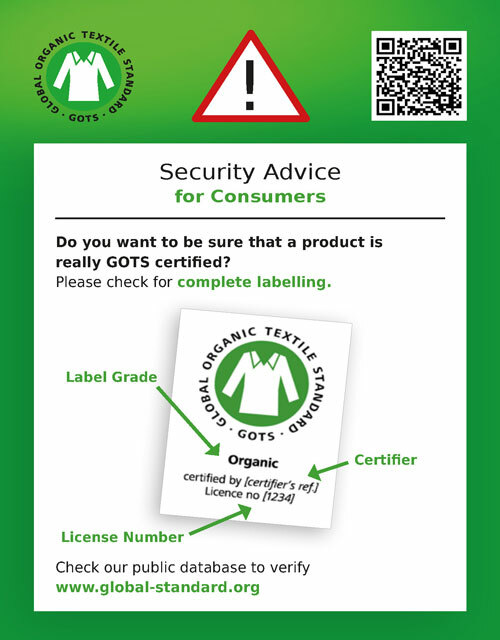 GOTS certification comes in 2 label grades which are made clearly visible on the product label for consumers to see and verify with GOTS. Organic must contain a minimum of 95% certified organic fibres. As GOTS is a textile standard and not an agricultural standard, it does not set organic farming criteria, but it does require that natural fibres are farmed in accordance with a national or internationally accredited organic farming body such as one that exists under the IFOAM umbrella. Where are my GOTS certified Bamboo sheets? While bamboo can be farmed organically and often with far less pesticides and water consumption than other fibers like cotton, the rayon process used to turn the bamboo into a usable material for textile processing voids the organic classification irrespective of the farming process. The rayon process melts bamboo fibres and reconstitutes them using chemically intense and highly polluting mechanisms which fails the GOTS environmental requirements. The article Is viscose really better for the environment has some good information on viscose (viscose is synonymous with rayon). What are the GOTS requirements? GOTS is an independent certification which covers the entire textile supply chain, including areas of fibre production, processing and manufacture. GOTS sets limits on the environmental impacts of the production process, this includes: restricting chemicals that are toxic and potentially toxic including Azo dyes; biodegradability requirements; waste management and water treatment; packaging material. Happiness of workers involved in the entire textile supply chain is another assessment criteria in GOTS. Workers should have the freedom to choose their employment; no child labour; health and safety criteria met; and fair wages given. How to become GOTS certified? All participants in the textile supply chain must have a GOTS certification for the final product to carry a GOTS product label. This includes operators of the processing and manufacturing chain, and also includes Business to Business traders. Retailers are not obligated to become GOTS certified as the product supplier will label the product with their license information. If a retailer was to alter the product in some way (embroidery for example) the retailer would then be required to become certified. How to check GOTS certification? The GOTS website lists all companies that have certification, if you have a product you would like to verify you can validate the product label using the GOTS database. This will allow you to validate the label and confirm that the company is in fact certified and the label grade they have certification for ‘organic’ vs ‘made with organic’.